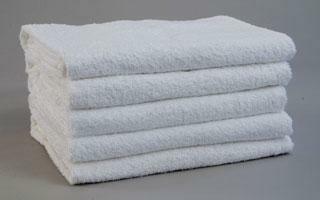 Description: Premium quality large size bath towel made of 100% Ring Spun Cotton Yarn. DOUBLE STITCHED at hems for long laundry life. A nice premium towel to have for motels, hotels, resorts, schools, gyms, teams, locker rooms etc. Great price offer! An excellent quality Standard Premium bath towel made of 100% ring spun cotton. Packed 3 dozen/carton. Used widely by motels, hotels, resorts, schools, colleges, gym, athletic centers, yoga centers, hospitals etc. Double Stitched at hems thus can withstand repeated laundry washings with durability. 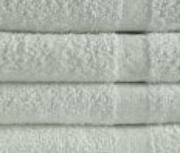 Description: White Wholesale Bath Towels in Standard Premium quality. DOUBLE STITCHED for durability. Very suitable Quality Towel for Day Spas, Physical Therapy Centers, Children?s Day Camps, Aesthetic centers, bed & Hotels. Great For Massage Treatments, Workouts.